February 9, 2015, Nashville, TN - Word Entertainment artist, for KING & COUNTRY, swept the Contemporary Christian Music category at the 57th annual GRAMMY Awards held in LA on Sunday, February 8. The first-time nominees claimed Best Contemporary Christian Album for RUN WILD. LIVE FREE. LOVE STRONG., and Best Contemporary Christian Music Song for "Messengers," a collaboration with fellow artist and Best Rap Performance nominee, Lecrae. 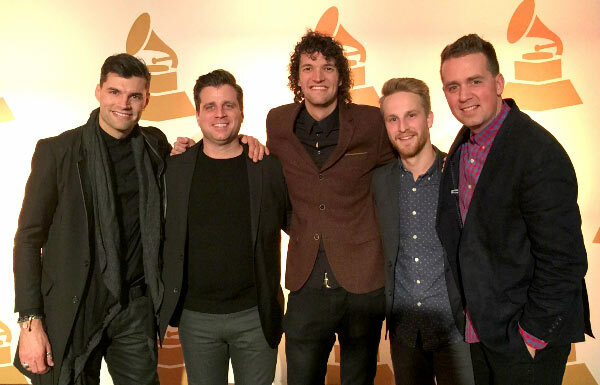 Of the wins, Joel and Luke Smallbone, the brothers who comprise for KING & COUNTRY released this statement: "We're incredibly humbled by these two GRAMMYs. Yes, they represent a song and an album, but more than that they recognize hope-filled music and the power of partnership. Partnership with our families, Lecrae, producers, our band, record label, and most importantly partnership with our supporters...Thanks to God for each of you. These awards belong to us all!" The two GRAMMY Awards capped off an extraordinary week for the duo, which included a live-concert taping of Public television's Front and Center, as well as a live performance on NBC's The Today Show, of their multi-week, multi-format #1 single "Fix My Eyes." Additionally, they had three sold-out arena shows and played to a crowd of over 30,000 at the Georgia Dome as a part of Winter Jam 2015. "I could not be more proud of for KING & COUNTRY and the well deserved recognition that they received tonight," says Rod Riley, President/CEO Word Entertainment. "It is an incredible honor for Word artists to have received the most Contemporary Christian GRAMMY nominations and is a tribute to the talent, work ethic and creativity of these artists we are so fortunate to represent."